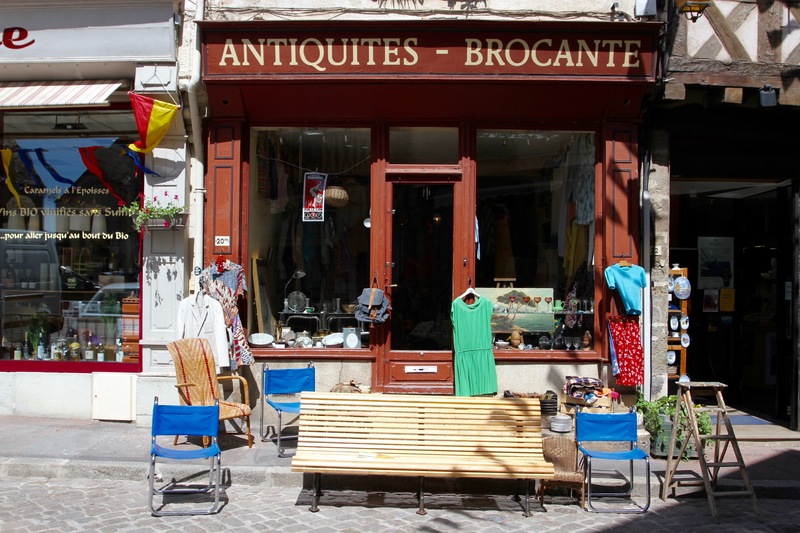 Evidence of Burgundy’s wealth of history is scattered liberally throughout its beautiful countryside. 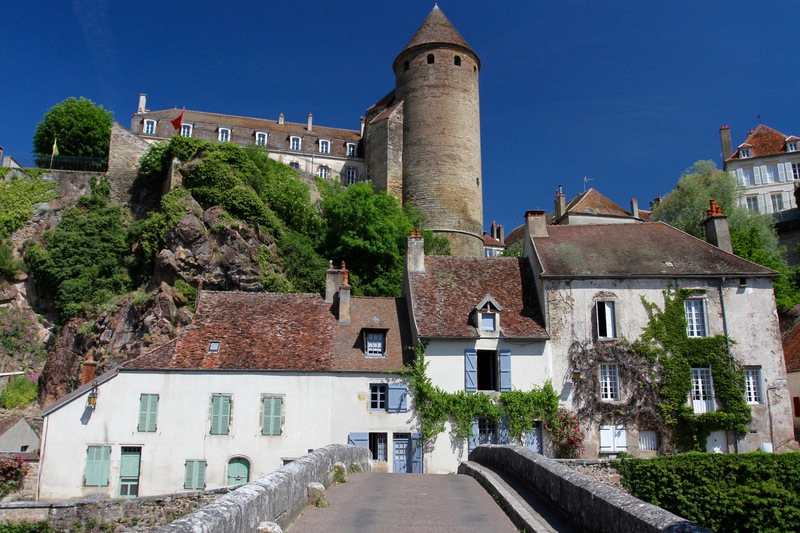 Extraordinary medieval towns, fortified hilltop villages, glorious chateaux, and ancient monasteries seem to have been perfectly preserved in an historic vacuum. 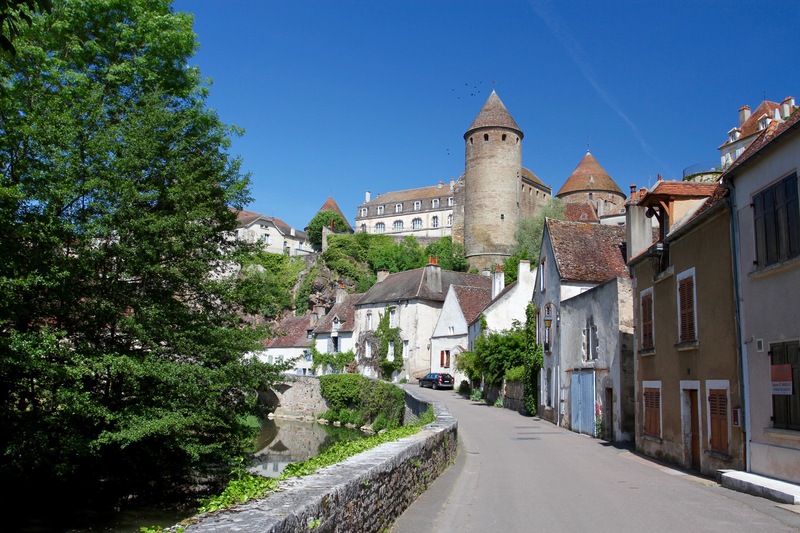 It’s a remarkable region, its history reflecting the wealth of the Dukes of Burgundy in medieval Europe. Until the mid-15th century the Burgundians were more powerful than the Kings of France, ruling vast areas of France, Belgium and the Netherlands. That legacy is writ large across the region. Even more remarkable, once you get off the main roads onto narrow country lanes, you have the vast landscapes of Burgundy almost to yourself. We drove for hours through the area between Dijon and Auxerre and barely saw any other people. 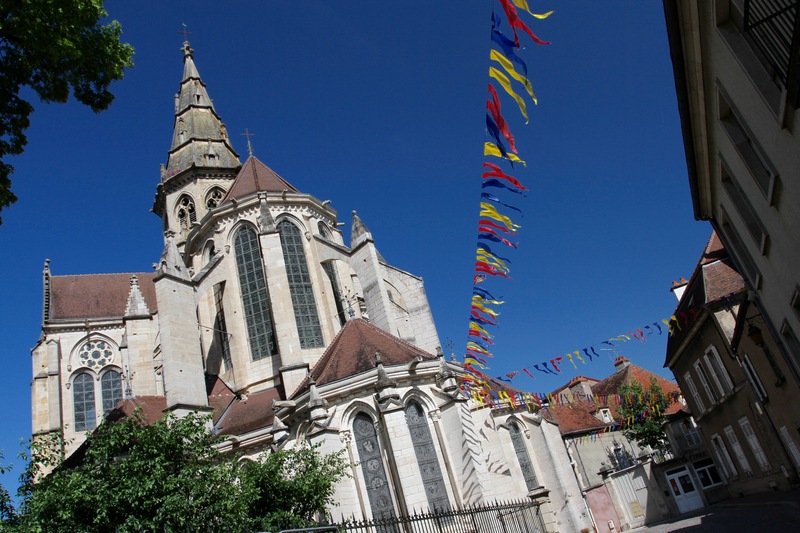 We didn’t really have an itinerary, stopping when we arrived in attractive villages, or to follow a signpost to a monastery or chateau. That’s how we came across Semur-en-Auxois. 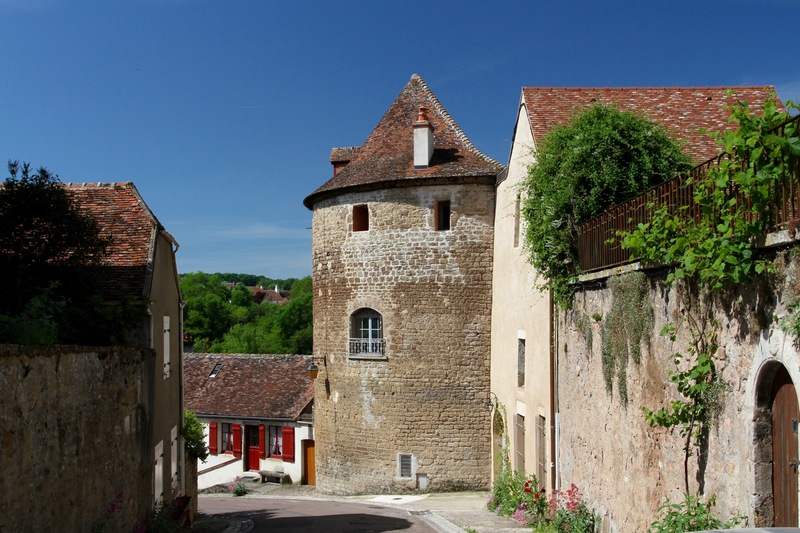 Close your eyes to signs of modernity and, as you wander around this picturesque town, it is all too easy to imagine you’ve been transported back to medieval Burgundy. 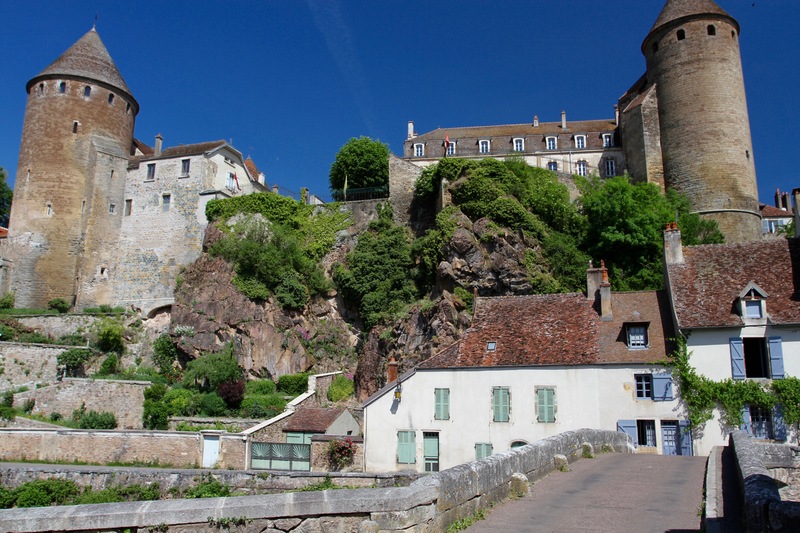 The town sits majestically on a rocky hill in a loop of the Armançon River, the massive defensive towers and high walls making it one of the most dramatic sights in the region. 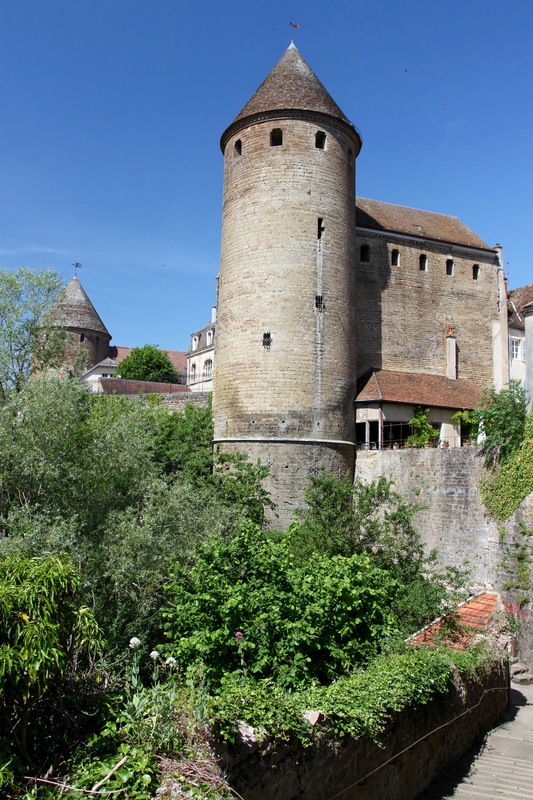 The fortifications are a legacy of the Hundred Years’ War, when armies criss-crossed this region in the medieval power struggle between England and France. We arrived on market day, and the cobbled streets at the heart of the old town were filled with stalls selling local delicacies – cheeses, meat, fruit and vegetables. It was early, so we grabbed a coffee and a croissant before setting off to explore this fabulous town. We passed the gothic church, La Collégiale Notre-Dame, and popped inside to take a look. The current building dates from the 1220s, but there has been a church here since at least the 9th century. It has some lovely medieval stained glass windows. Soon we found ourselves heading downhill on winding streets towards the river. From here you get a dramatic view back over the town. It’s extraordinarily pretty. 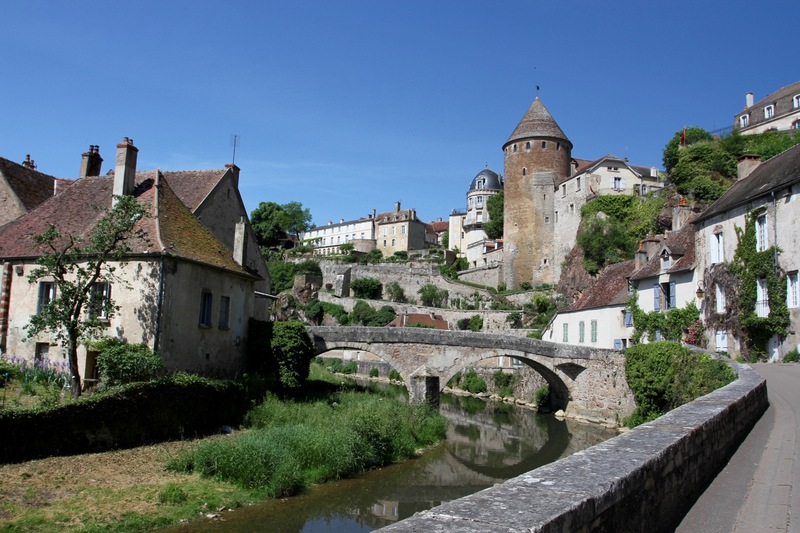 We walked along the river for a while, before clambering up steep stairs and through a narrow gateway in the defensive walls to re-enter the town. From here we were able to walk along the battlements, and through pleasant gardens, to get tremendous views over the surrounding countryside. Through more pretty cobbled streets, we found our way back into the town centre. After the quiet streets, the centre was a hubbub of noise and activity. People were shopping at the market stalls and most of the inhabitants of the town seemed to be having an aperitif and a snack in the town’s cafes and restaurants. We visited the tourist office to pick up some literature on nearby attractions, and then found a table in a cafe while we decided what to do next. Looking at the map we spotted a very familiar name, Époisses. This tiny village lends its name to one of my favourite (and one the world’s smelliest) cheeses … and it was less than 10km away. Our next destination had chosen itself.